After the two consecutive ribbon hair bow elastic headbands, I'm now shifting to hair clips. Yep! Aside from the grosgrain ribbons and fold over elastics, I also bought bare clips of different types and sizes. 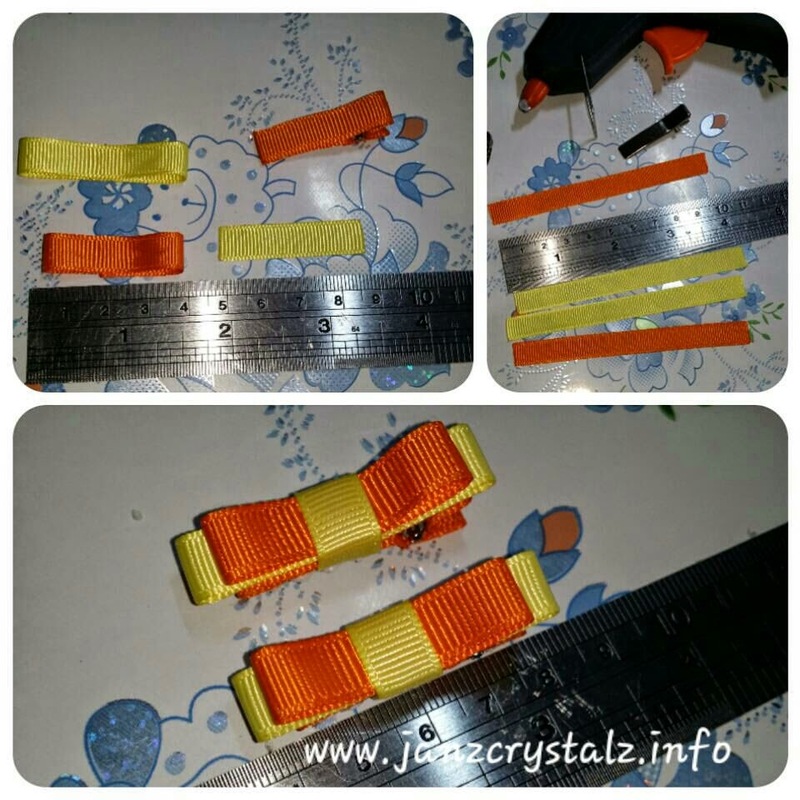 Using a 3/8" of yellow and orange grosgrain ribbons, I made a pair of hair clippies. 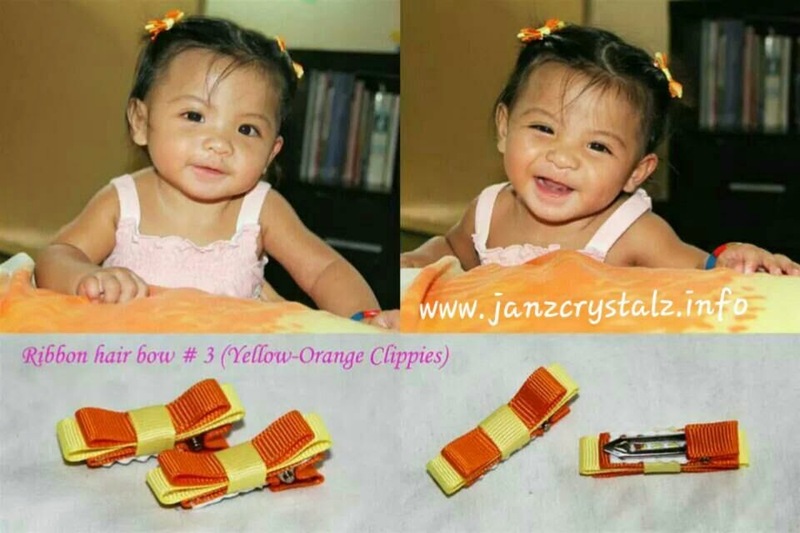 A very simple and easy to do ribbon hair clips for babies. I should have written a tutorial here but sadly, when I made this one hubby is not around to take the step by step photos. So for now I'll just show you the finish product and will definitely make series of tutorials next time. Aww.. she looks so cute with the clips on :) Lovely color combination. Your model is so cute. Perfect for that clippies. Cute! My recent MTO are crochet flower and heart attached to alligator clips. I love doing it kasi mabilis lang kaya lang nakakapaso. Hehe. Oh I noticed we have the same ruler. Haha..
Those clips are pretty and of course the model is super dooper cute. She's so big na. These are so cuuuute! They would make great stocking stuffers during the holidays. Or party favors at a little girl's birthday.